History: In China sandalwood is known as the chan-t'an that comes from the Sanskrit Chand, the original Indian name. "Tang" means "true" or "genuine", relating to the use of wood as incense. Countries in the Far East of sandalwood incense is very popular, although it contains almost negligible part of the original sandalwood. Indian coast can encounter a perennial white sandalwood. in India from ancient wood of this plant is used in religious rites. drain religions sandalwood oil is as incense for the Christian. It incense in religious ceremonies, funerals, weddings, various other rituals. A blend of jasmine, ylang ylang, rosewood, rose Gerani, patchouli, vetiver. 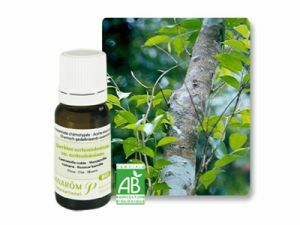 Action: antiseptic, antidepressant, relaxing, tonic, expectorant, diuretic, normalizes the function of the sebaceous glands, inflammatory, aphrodisiac, kravoprechistvashto, strengthens the immune system and cleanses the body of toxins, disinfects, deodorizes and refreshes indoor air. Indications: antiseptic, antidepressant, relaxing, tonic, expectorant, diuretic, normalizes the function of the sebaceous glands, inflammatory, aphrodisiac, kravoprechistvashto, strengthens the immune system and cleanses the body of toxins, disinfects, deodorizes and refreshes indoor air. Contraindications: Do not use on epileptics, pregnant women and children under 3 years, as well as people with individual intolerance to this essential oil. Test your individual tolerance.